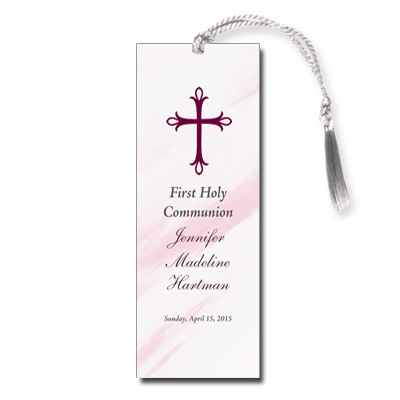 A pink and white marbled background combined with purple script type gives this First Holy Communion bookmark an elegant look. A stylized cross appears at the top with your child's name and event information below. Bookmark measures 2x5.5 and comes with white tassels; light assembly required.